Delicious! 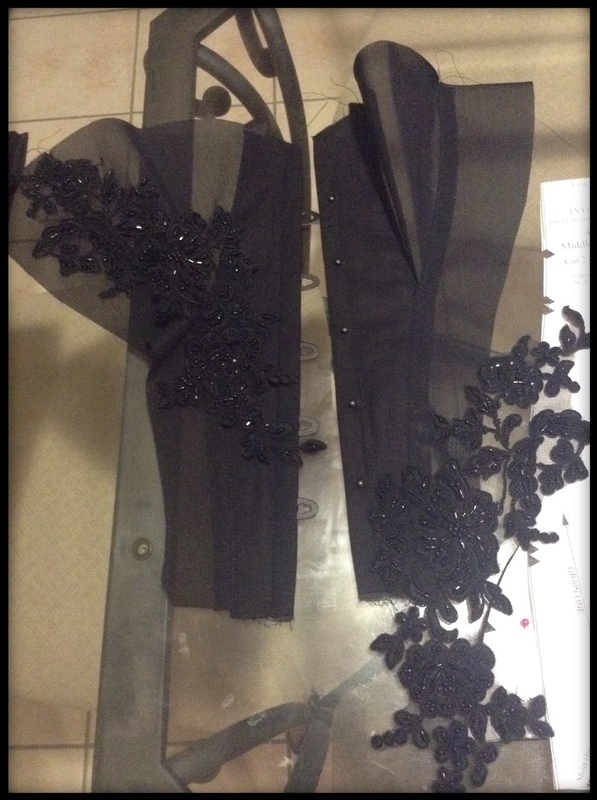 Black beaded appliqués and power mesh are going to make for one stunning black beauty. Happy dance! The mock turned out perfect and now onto the good stuff. Every day's a learning curve and keeps my creative mind learning, doing, experimenting and loving the challenges! This entry was posted in Lifes a Dance, Love My Life, Sewing and tagged Australia, Edwardian, Truly Victorian, Victorian Undergarments, yesteryear seamstress. Bookmark the permalink. Kat you will look Sophisticated in Black, love the mesh. Its gorgeous Donnie! Wait til you see the finished!